Acta Aquatica Turcica (ActAquaTr) is an international, quick-refereeing, open access and peer-reviewed journal, which is published 4 times a year, in March-June-September-December. Acta Aquatica Turcica is focused on limnology, fisheries management, ecology, biology, aquaculture, disease, socio-economy and fish processing technology topics related. This journal publishes research article, case report, short communication and review written in English and Turkish languages. 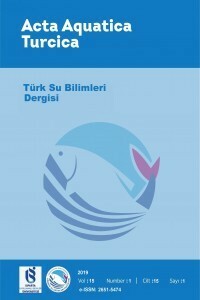 Acta Aquatica Turcica; is being index by "Clarivate Analytics (Thomson Reuters)-Zoological Record, TR Index (since the June 2016), Turkey Citation Index, DOAJ, Index Copernicus, DRJI, Google Scholar, OAJI, Crossref, MIAR, EZB Elektronische Zeitschriftenbibliothek".